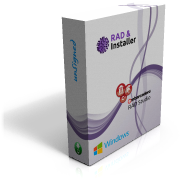 RAD Studio extension for creating NSIS and Inno Setup installers. It integrates NSIS (Nullsoft Scriptable Install System) and Inno Setup with Embarcadero RAD Studio IDE and allows you to create and build NSIS and Inno Setup projects right within RAD Studio getting all benefits of common integrated environment! Do you want to improve your existing installers or easily create new ones? Spend less time on development and write scripts faster, easier, cleaner and without effort. 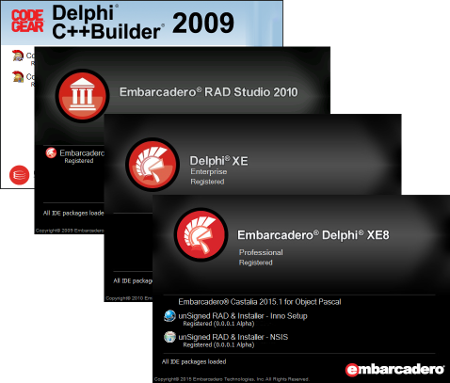 Works in C++ Builder and Delphi - all Editions including Starter! 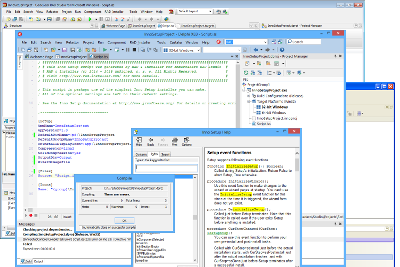 Embarcadero MVPs and Owners or Committers of a qualified Delphi or C++ Builder Open Source projects may receive a full license for our products for free. See the details in unSigned Donation Program. 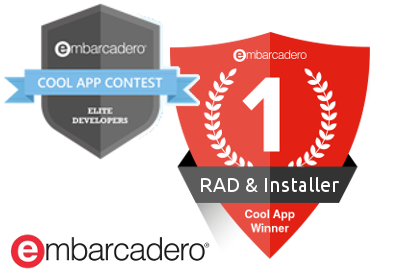 High quality of this product has been appraised in Embarcadero Cool Apps Contest where RAD & Installer won 1st place in September 2017! 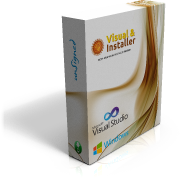 Try our product Visual & Installer: Extension for creating NSIS and Inno Setup installers directly from Visual Studio 2005 - 2017.